A best of R.S. 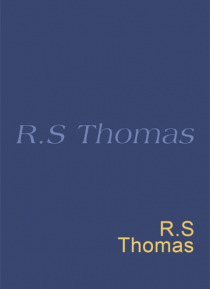 Thomas's poems in a beautiful new gift editionR. S. Thomas (1913- 2000) was born in Cardiff. He studied classics, then theology and, after ordination, served six rural Welsh parishes for most of his life. His first book of poems was published in 1946. He won the Queen's Gold Medal for Poetry in 1964 and published regularly, Collected Poems 1945-90 marking his eightieth birthday.